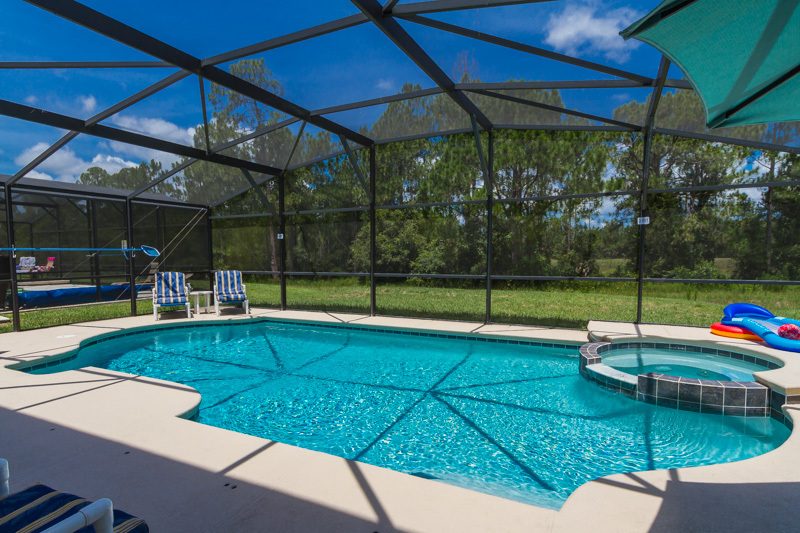 This all-new 6 bedroom, 4 bathroom, giant resort rental with private pool will wrap you in luxury from floor to ceiling and all the details in between. 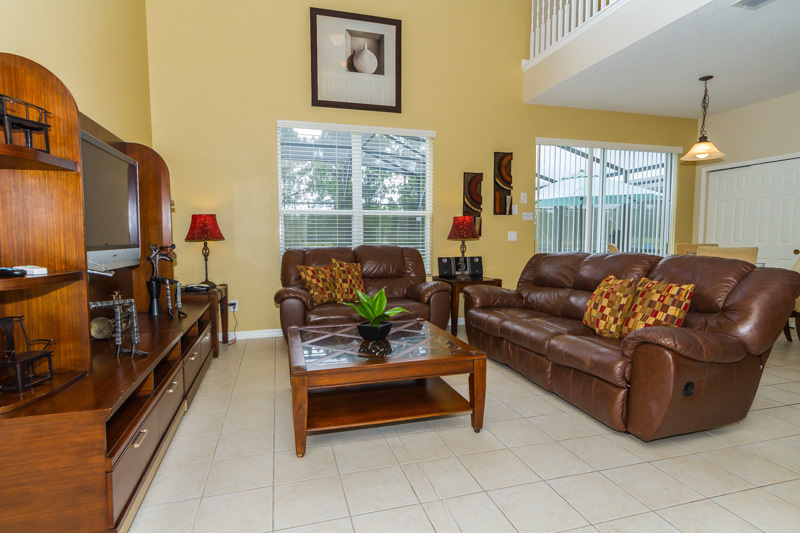 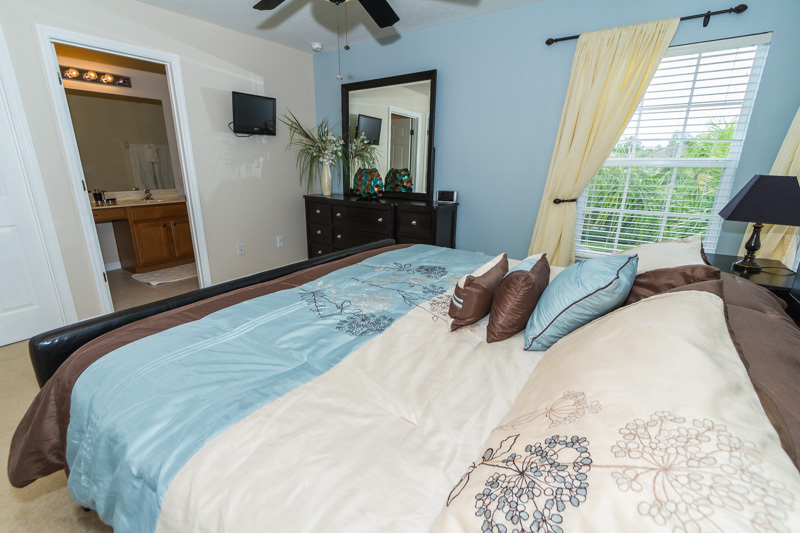 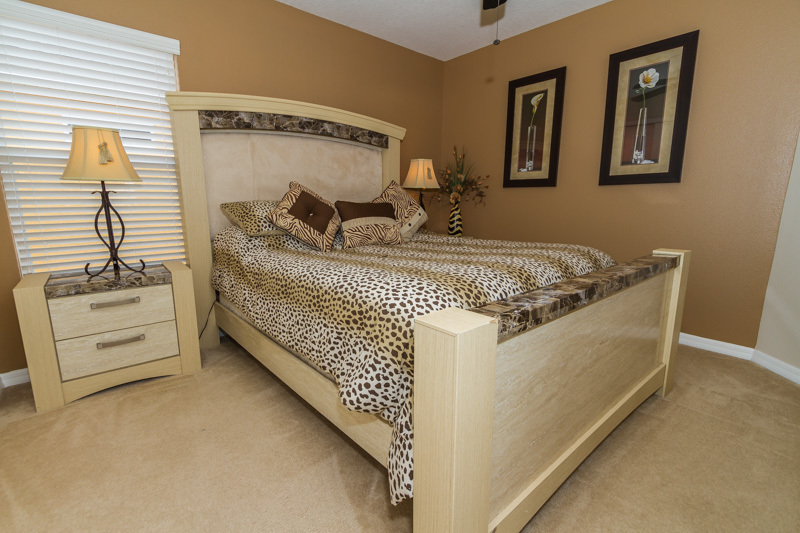 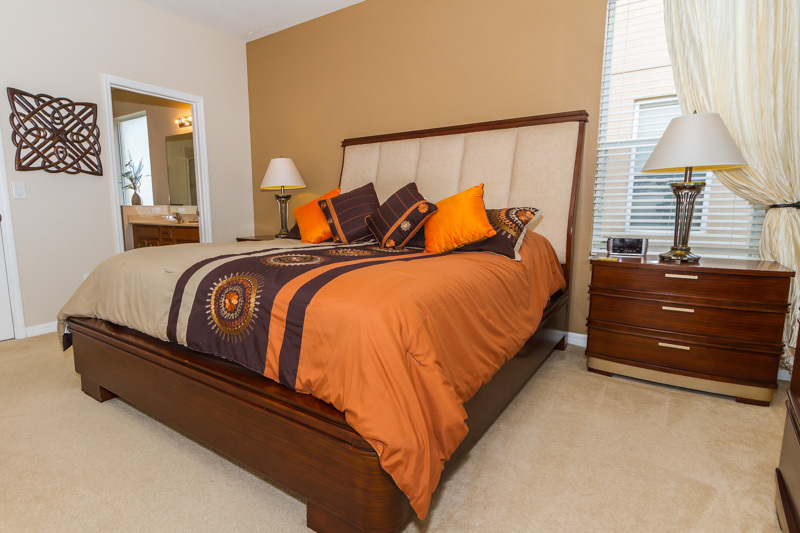 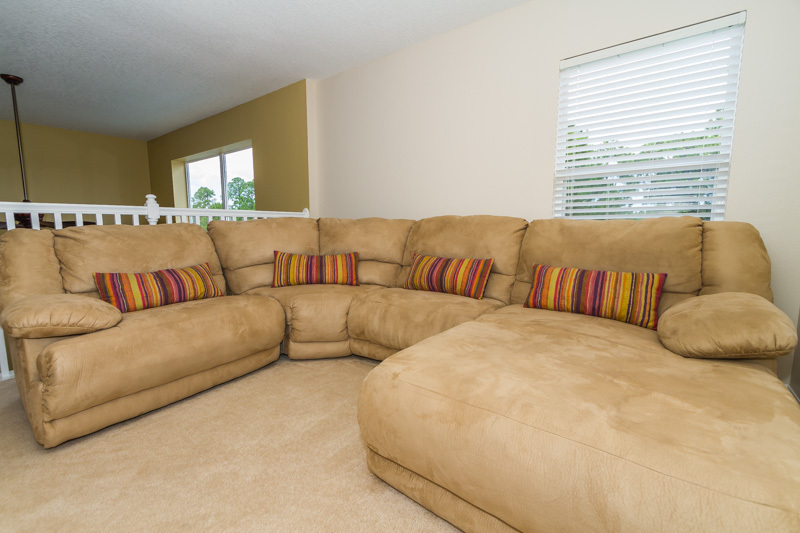 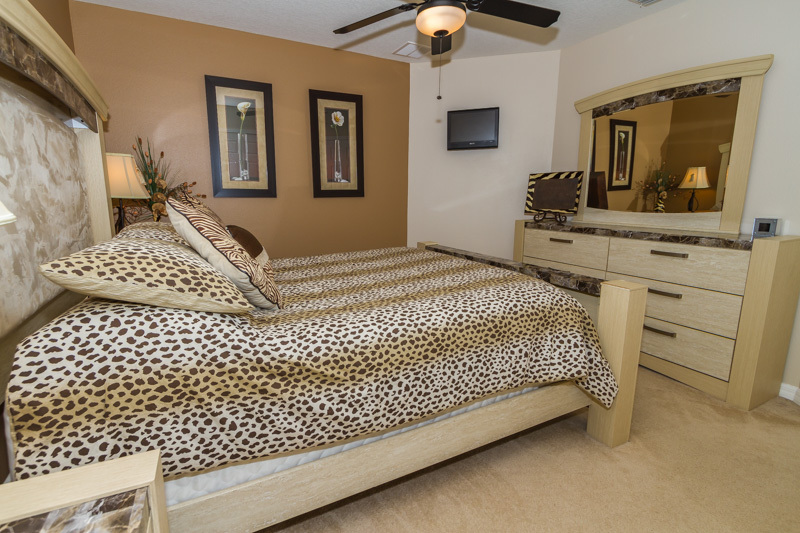 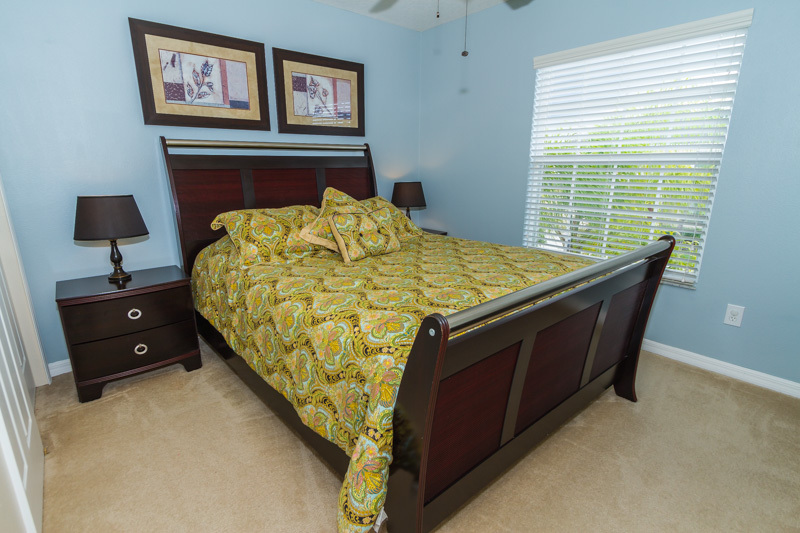 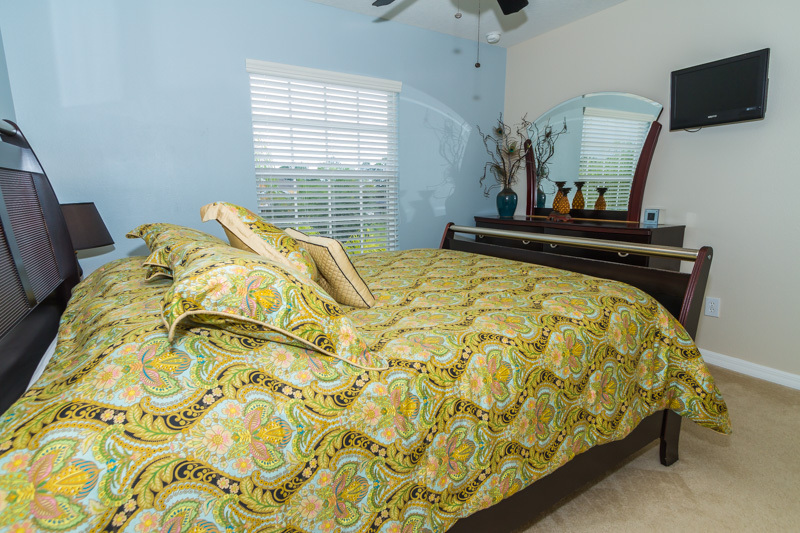 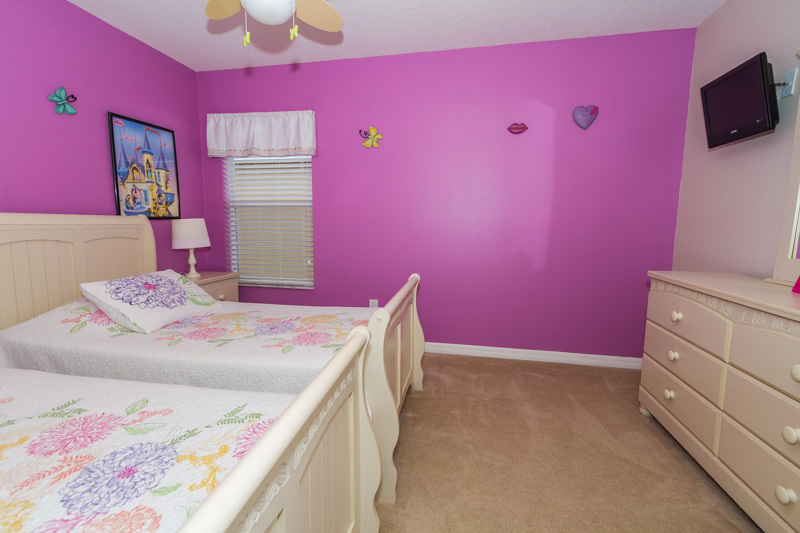 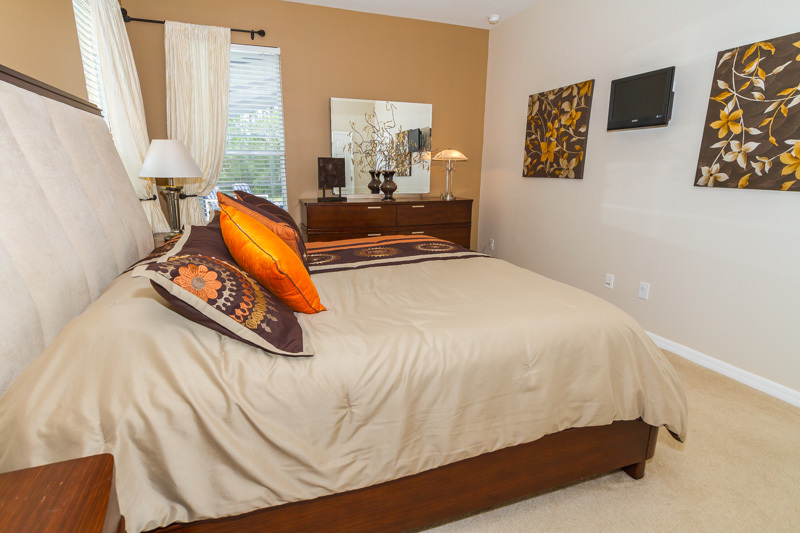 You have 4 master suites on the top floor of the home: 2 King masters and 2 Queen Masters . 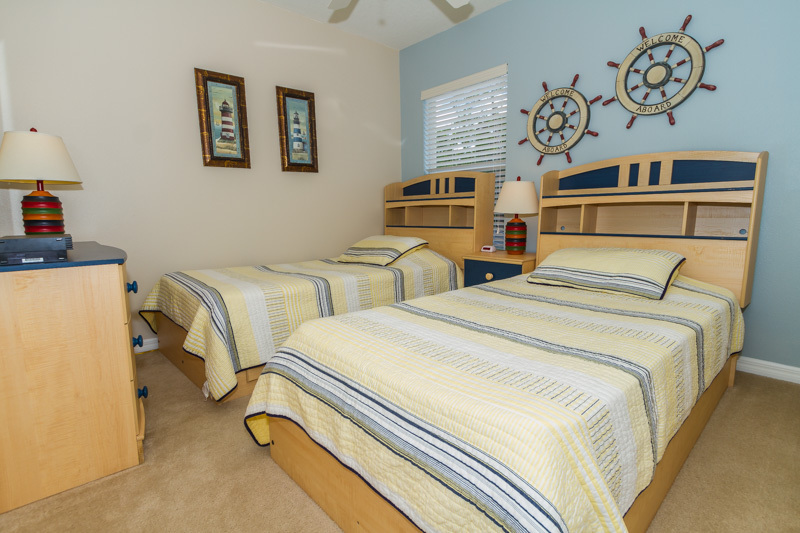 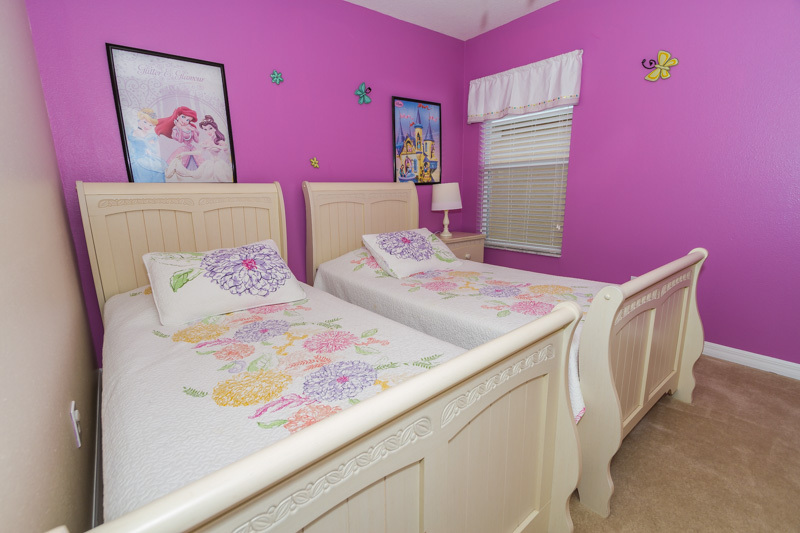 Then the last two bedrooms have two twin size beds each . 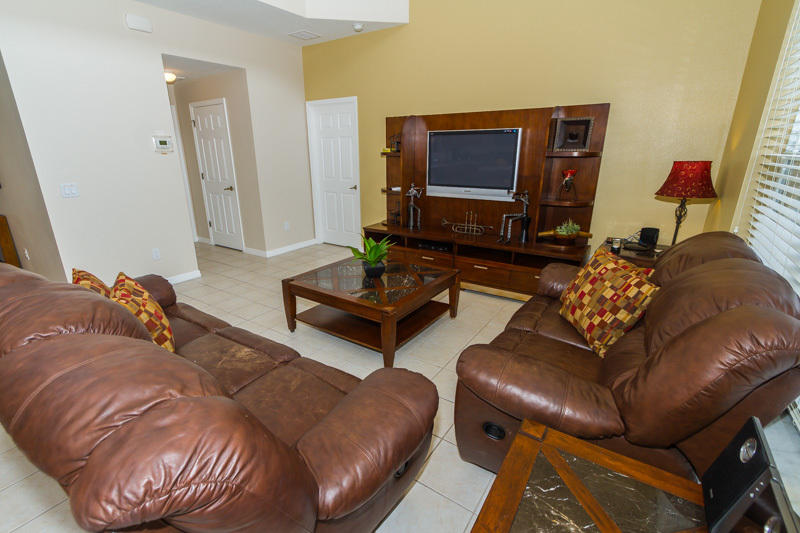 There are 6 TVs amongst the interior bedrooms and living room area. 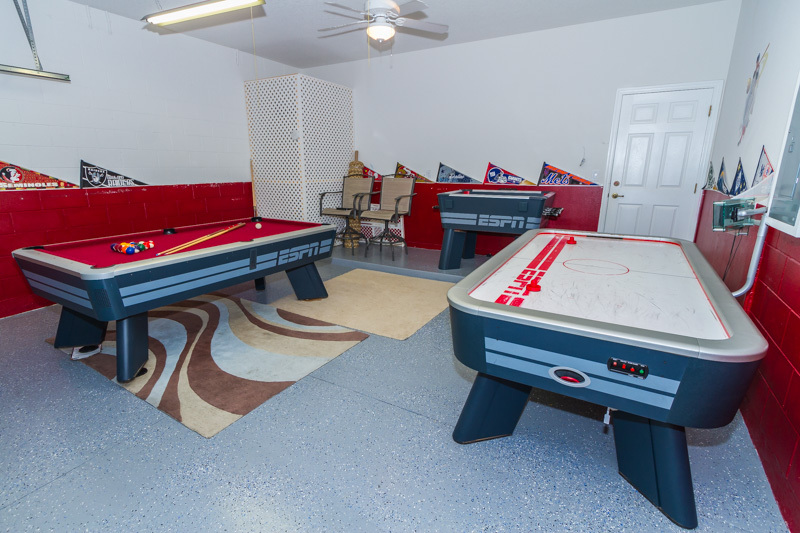 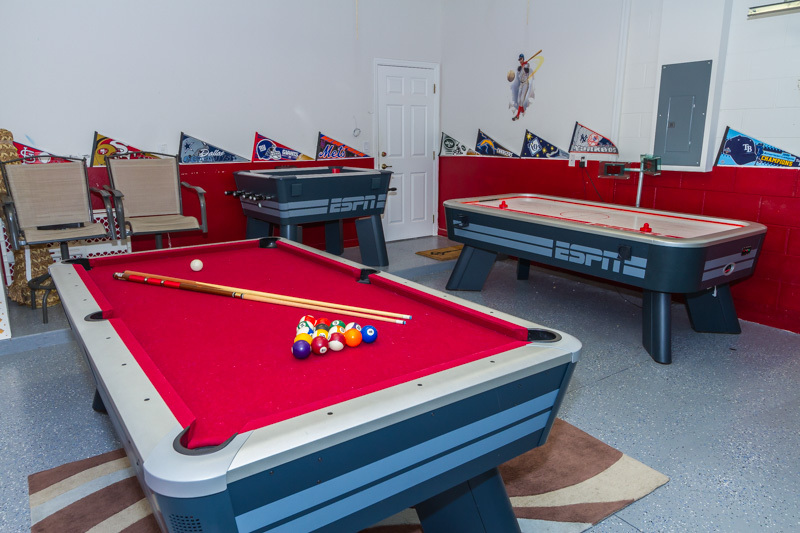 For entertainment, a full size pool table sits in the family room for a competitive round with friends or family in the evening hours. 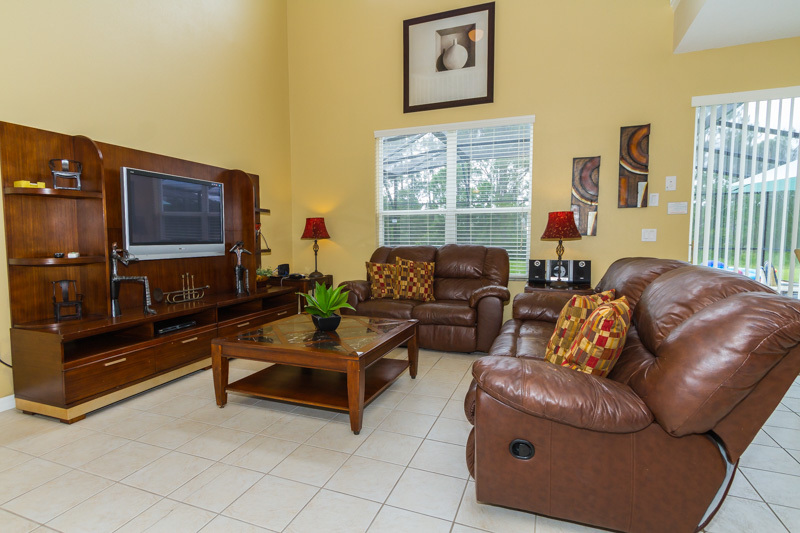 Wireless Internet keeps you up-to-date on local traffic, driving directions to and from your points of interest– just pack your laptop. 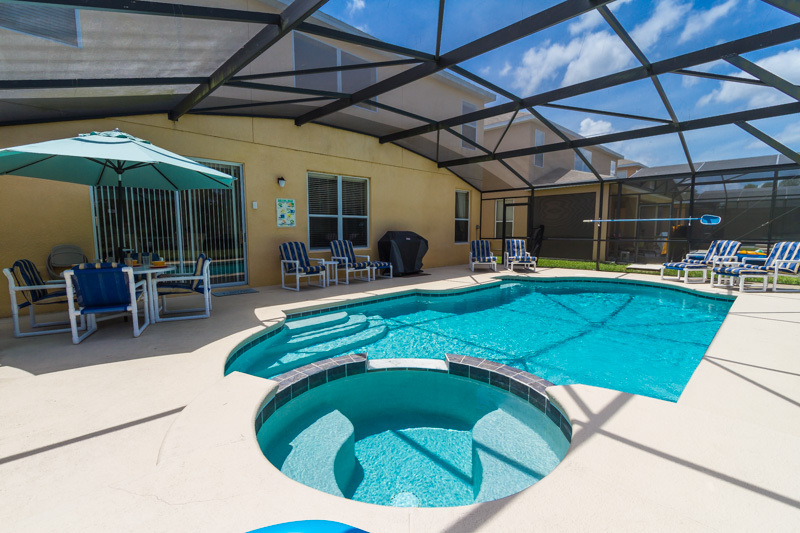 Watersong is an absolutely fabulous gated community set in a peaceful location, surrounded by natural views of conservation and beautiful lakeside settings. 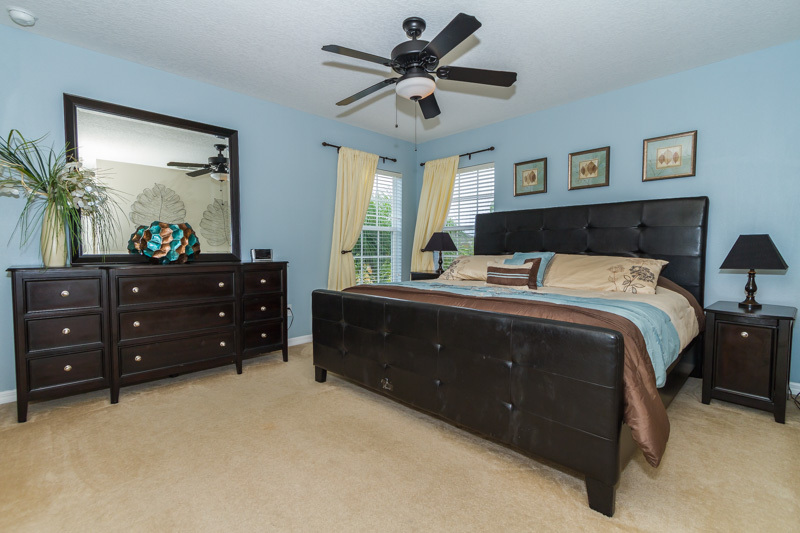 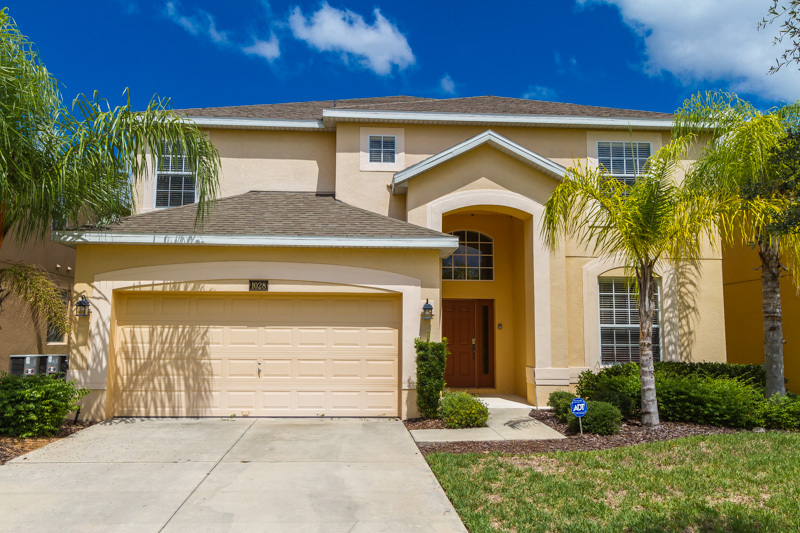 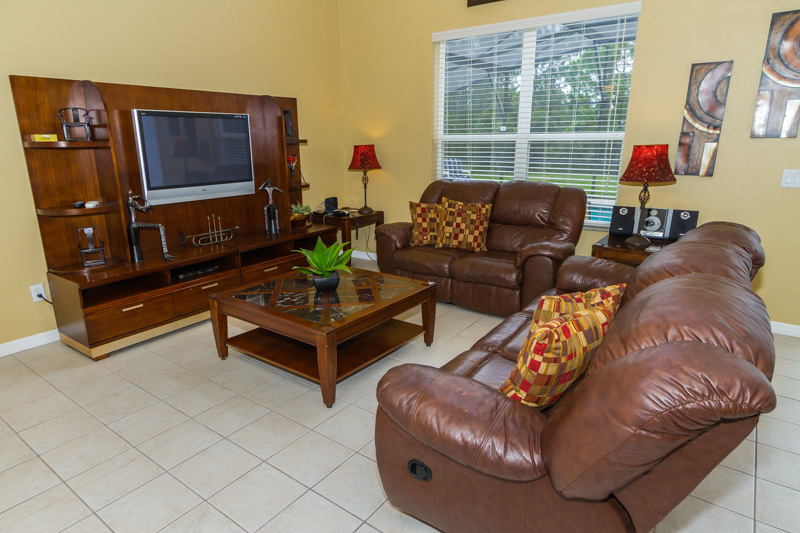 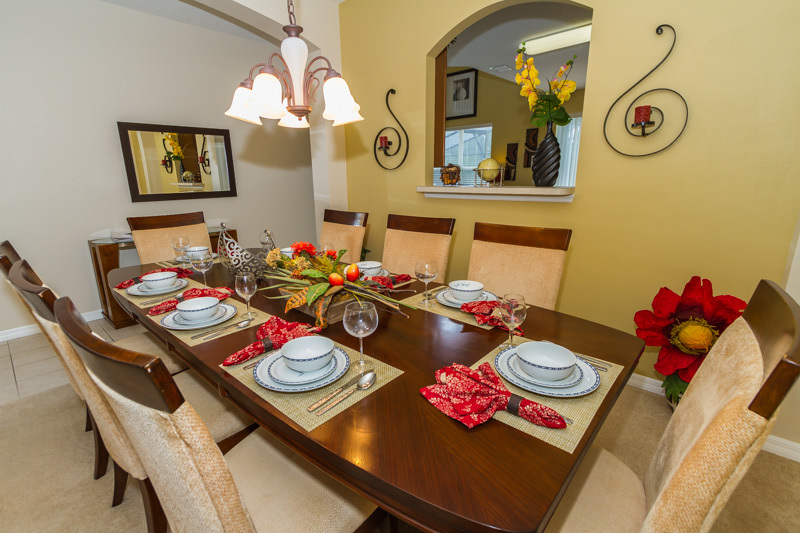 The Watersong community is located off of Highway 17-92 on a street called Orange Cosmos Blvd, in the city of Davenport, Florida just a mere 11 mile drive to Disney’s Maingate Lane. 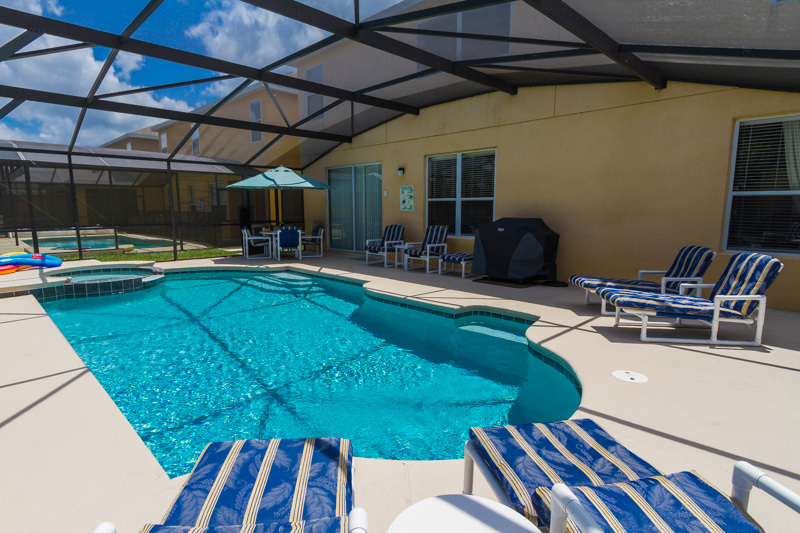 On site facilities at Watersong includes a spacious 6,700 sq ft clubhouse which is planned to feature a kids sand play area, community pool, putting green, fitness room (also in the works are a snack lounge, internet cafe and concierge services). 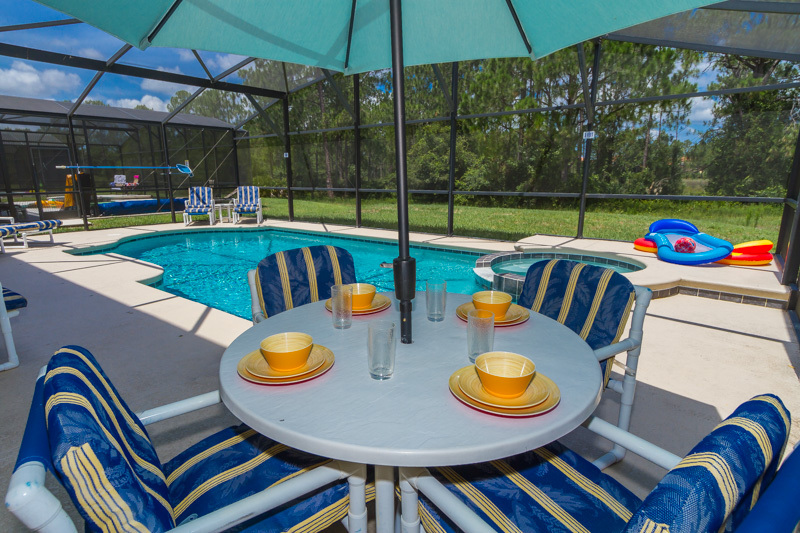 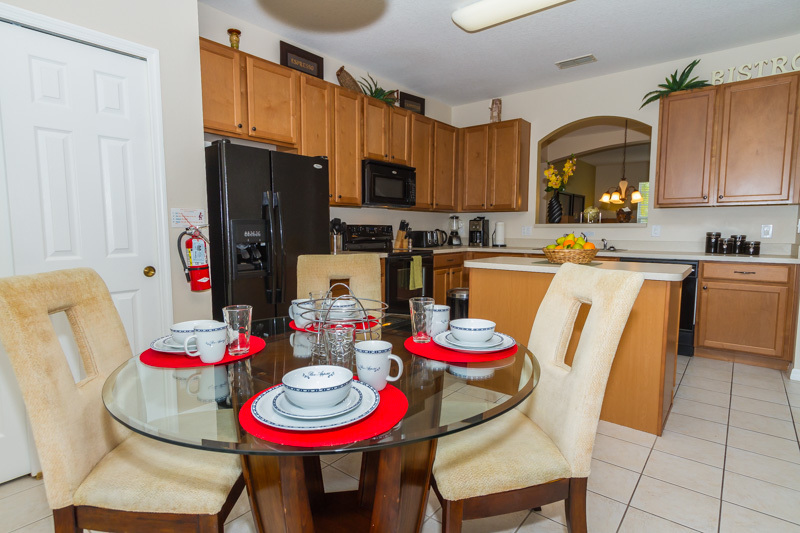 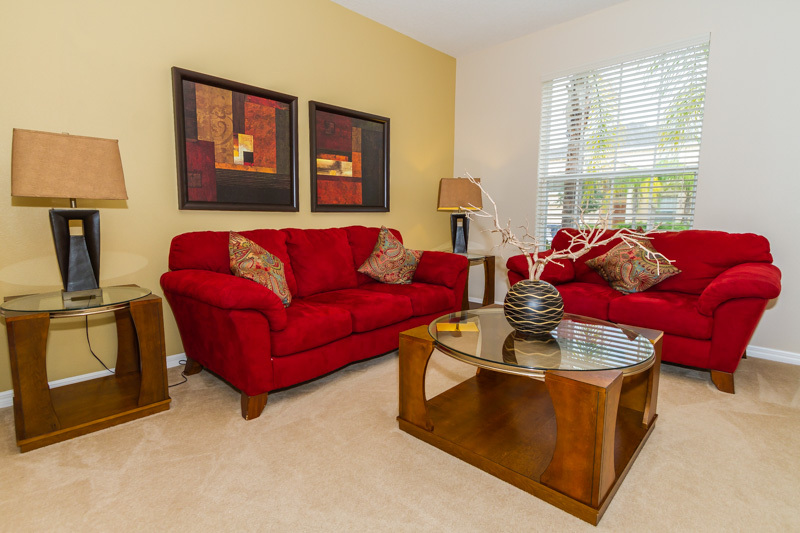 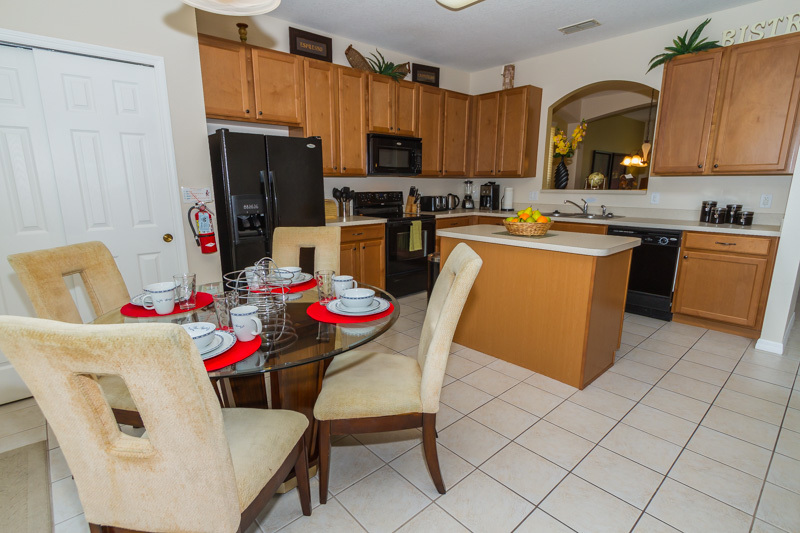 Enjoy the large, community pool, picnic area and volleyball courts for some fun in the sun! 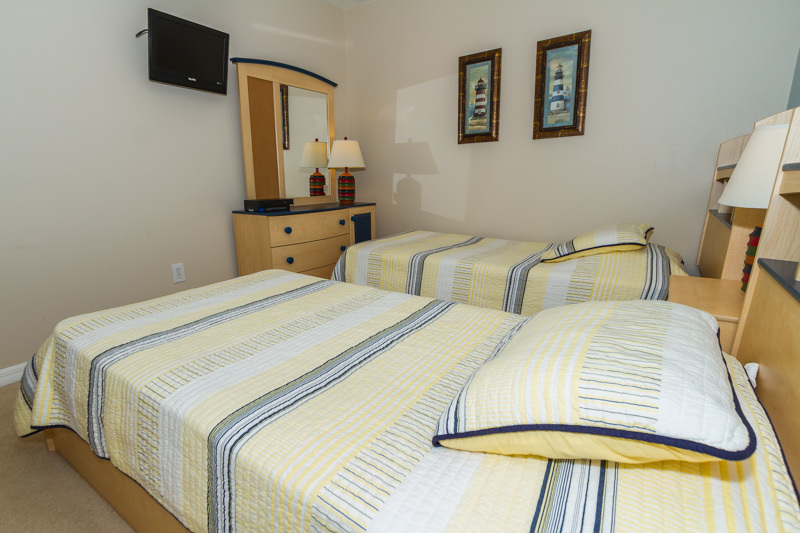 The community facilities are available for you and your family to take advantage of at no extra charge.